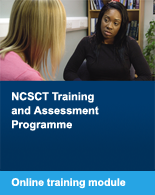 It is important that NCSCT research evaluating our training and assessments programme, and into the delivery of behavioural support, is published in peer-reviewed academic and clinical journals. This ensures that we can be confident that what we do is based upon evidence. 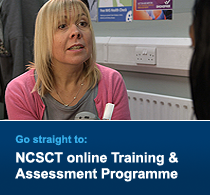 The NCSCT was set up by the English Department of Health on a three year grant; the report at the bottom of the page details the development of the NCSCT and its outputs between 2009-2012. Brose L, West R, Michie S, McEwen A (2014) Changes in success rates of smoking cessation treatment associated with take up of a national evidence-based training programme. Preventive Medicine, 69C, 1-4. doi: 10.1016/j.ypmed.2014.08.021. West R, May S, West M, Croghan E, McEwen A (2013) Performance of English stop smoking services in first 10 years: analysis of service monitoring data. British Medical Journal, 47:f4921. Brose L, West R, Stapleton J (2013) Comparison of the effectiveness of varenicline and combination nicotine replacement therapy for smoking cessation in clinical practice. Mayo Clinic Proceedings, 88, 226-33. doi: 10.1016/j.mayocp.2012.11.013. Lorencatto F, West R, Seymour N, Michie S. (2013). Developing a method for specifying the components of behaviour change interventions in practice: The example of smoking cessation. Journal of Consulting and Clinical Psychology, 81(3), 528-44. doi: 10.1037/a0032106. Hiscock R, Murray S, Brose L, McEwen A, Leonardi-Bee J, Bauld L (2013) Behavioural therapy for smoking cessation: the effectiveness of different interventions for disadvantaged and affluent smokers. Addictive Behaviours. In Press. Hughes, L., McIlvar, M, & McEwen, A. 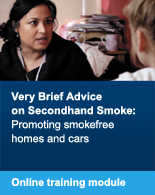 (2013) How to advise and refer inpatients who smoke. Nursing Times, 109(1/2):14-18. Stapleton J, West R, Hajek P, Wheeler J, Vageli E, Abdi Z, O’Gara C, McRobbie H, Humphrey K, Ali R, Strang J, Sutherland G (2013) Randomized trial of NRT, bupropion and NRT plus bupropion for smoking cessation. Addiction. Wee LH, Bulgiba A, Shahab L, Vangeli E, West R (2013) Understanding smokers’ beliefs and feelings about smoking and quitting during a quit attempt: a preliminary evaluation of the SNAP model. 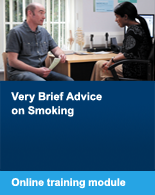 Journal of Smoking Cessation. Langley T, Lewis S, McNeill A, Gilmore A, Szatkowski L, West R, Sims M (2013) Characterising tobacco control mass media campaigns in England. Addiction. Brown J, Hajek P, McRobbie H, Locker J, Gillison F, McEwen A, Beard E, West R (2013) Cigarette craving and withdrawal symptoms during temporary abstinence and the effect of nicotine gum. Psychopharmacology. Taylor A, Thompson T, Greaves C, Taylor R, Green C, Warren F, Kandiyali R, Aveyard P, Ayres R, Byng R, Campbell J, Ussher M, Michie S, West R. (2013) A pilot randomised trial to assess the methods and procedures for evaluating the effectiveness and cost-effectiveness of Exercise Assisted Reduction then Stop (EARS) among disadvantaged smokers. NIHR HTA Report. Beard E, Shahab L, Curry S, West R (2013) Association between smoking cessation and short-term health-care utilisation: results from an international prospective cohort study (ATTEMPT) Addiction. McDermott M.S., Beard E., Brose L.S., West R. & McEwen A. (2013). Factors associated with differences in quit rates between ‘specialist’ and ‘community’ stop-smoking practitioners in the English Stop-Smoking Services. Nicotine and Tobacco Research, 15(7), 1239-1247, doi: 10.1093/ntr/nts262. Brose L.S., West R. & Stapleton J.A. (2013). Comparison of the effectiveness of varenicline and combination nicotine replacement therapy for smoking cessation in clinical practice. Mayo Clinic Proceedings 88(3), 226-233. http://dx.doi.org/10.1016/j.mayocp.2012.11.013. Lorencatto F, West R, Christopherson C, Michie S. (2013) Assessing fidelity of delivery of smoking cessation behavioural support in practice. Implementation Science, 8 (40). doi: 10.1186/1748-5908-8-40. Lorencatto F, West R, Stavri Z, Michie S. (2013). How well is intervention content described in published reports of smoking cessation interventions? Nicotine & Tobacco Research, 15(7), 1273-82. doi: 10.1093/ntr/nts266. This report details the development of the NCSCT and its outputs between 2009-2012.